Yes, more books....but this time I didn't buy them! I was smart and got them from a library. I should promote libraries more...seeing as I'm almost a Librarian and have worked in them most of my adult life. I wanted to check out these two book before I thought about purchasing them. I'm glad I did. They are great and were worth having a good look at...but they don't include anything different then the things I've seen on the net or have in books I already own. 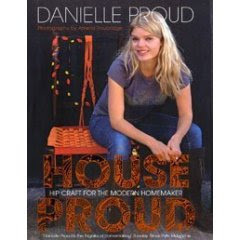 The "House Proud" book by Danielle Proud is great and if you are in to reusing furniture and household goods, then this book has some great ideas. The thing is I've been in to this for such a long time, that I've seen most of the techniques before. I must be getting really old! 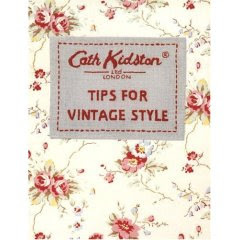 Cath Kidston book is really good too, but again...nothing really new. Anyone interested in some books?